BLOOM is a science-based organization. We do not believe in “beautiful” narratives but in data and actions. Countless times have we heard government officials or industry representatives claim that no harmful subsidies were given to the fishing sector. When scratching the surface, we have consistently found that these claims were not supported by data or were outrightly false. Whether an international agreement to eliminate harmful fisheries subsidies is to be found or not by the World Trade Organization, having access to detailed data is the only way to cut the financial incentive to overfishing, to assess with detail what is being done by whom where, and to highlight inconsistencies between adopted objectives and national rules or implementation. We believe that transparency delivers, on its own, more results than many ambitious stated objectives. Because once published and accessible to all, data leave no room for false claims, we are encountering a common feature to many important fishing nations: public fisheries subsidies are concealed behind a wall of opacity. Our first mission is therefore to fight governments and administrations in order to obtain access to public data. By and large, fishing nations have some level of transparency requirement about the use of public monies built in their legislation. Sunshine laws allow us to force authorities to comply with transparency obligations and publish critical data about fisheries subsidies. Once available, the data reveal a wealth of information which is analyzed by or researchers. 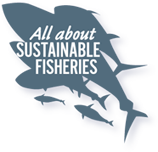 Below you will find examples of research conducted on subsidies provided to various fishing activities. Our research enables us to reveal and combat inconsistent implementation of adopted objectives of sustainability, ecosystem restoration and equitable access to resources. Our thorough analyses of data also allow us to identify compliance issues. Since June 2015, BLOOM has been arm wrestling with the French administration to obtain the final and complete list of beneficiaries of the European Fisheries Fund (EFF).